From now through 16 October, Dezeen opens “Dezeen Space” at 54 Rivington Street in London, in the heart of Shoreditch. This space serves as a pop-up store as well as a pop-up gallery – and the temporary offices for Dezeen during the London Design Festival, London Fashion Week and Frieze Art Fair. The pop-up gallery called Dezeen Platform, will host 30 designers in 30 days over a one metre by one metre space where designers will be able to show his or her work. I checked out the work of Israeli designer Sivan Royz, who designed a laser-cut XYZ. 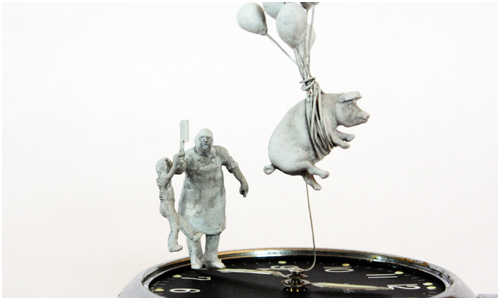 In addition, the space serves as a pop-up store, showcasing some fun products including a series of time-based sculptures called “Moments in Time” by Dominic Wilcox. 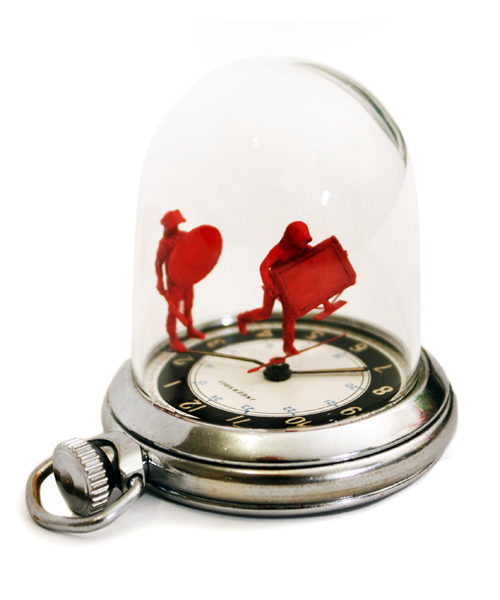 Each piece is customized by attaching miniature figures to the rotating hands of vintage watches to tell a story. 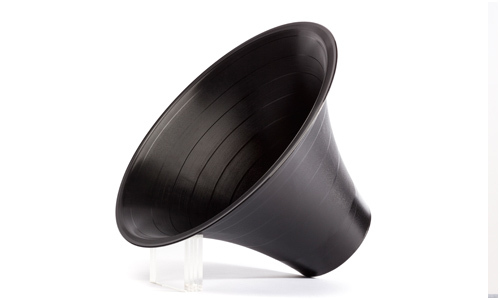 The series is sold exclusively at Dezeen Space for £500 (US$775, 575€) each. Another fun piece is the “Change the Record” analog amplifier by Paul Cocksedge. 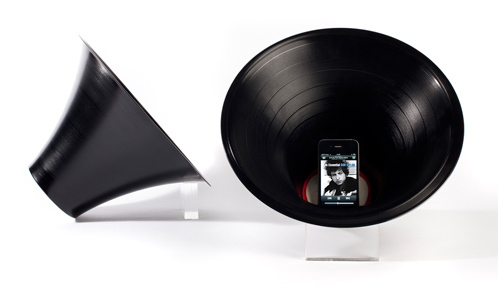 Each amplifier is handmade out of old vinyl records. Sold at £25 (US$38, 28€). Check them out.